Decorating with mosaics involves providing rooms with an extra measure of exclusivity, therefore, achieving a more unique and lively space. Contemporary houses firmly bank on the integration of mosaics as visual points of attention for any atmosphere, by combining them with other materials which, although more sober, they are elegant as well, like ceramic, wood or stone. Mosaics ensure dynamism in interior design, a set of tiles that provides rooms with more rhythm and liveliness. 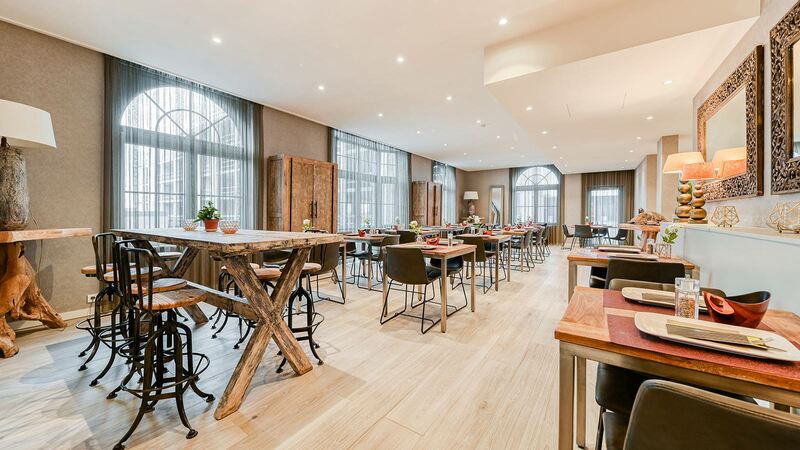 For instance, it is possible to integrate a mosaic as a decorative element in the habitat, highlighting a specific wall or breaking the continuity of flooring or wall tiles. 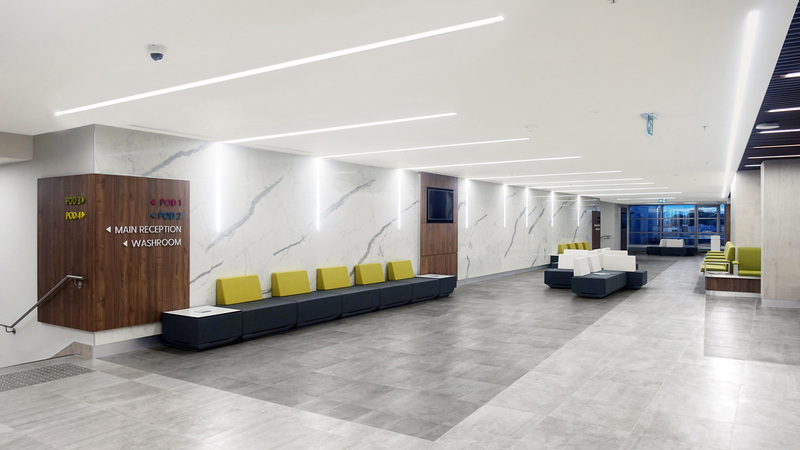 One of their other advantages, and more specifically with regard to the relief mosaics, is the fact of providing the space with simulated movement, while achieving a magnificent combination of lights and shadows which beautifies and enriches the design. 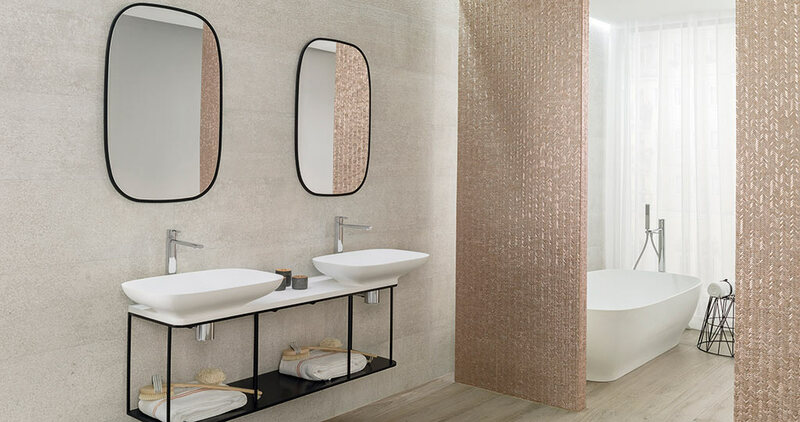 The PORCELANOSA Grupo, with the highest quality endorsed by its materials, offers ceramic mosaics and natural materials mosaics which are ideal to have any space decorated with. Furthermore, and aiming at offering integral solutions for architecture, this ensures a wide range of combination possibilities with other designs, so that the result is both integral and unique. One of the combination possibilities, mostly with regard to the ceramic mosaics, is to combine them with other floor tiles and ceramic wall tiles. They can be combined either as contrast with the installed material, or to seek similar colour tones so that the mosaic is much more integrated without ever losing its importance. 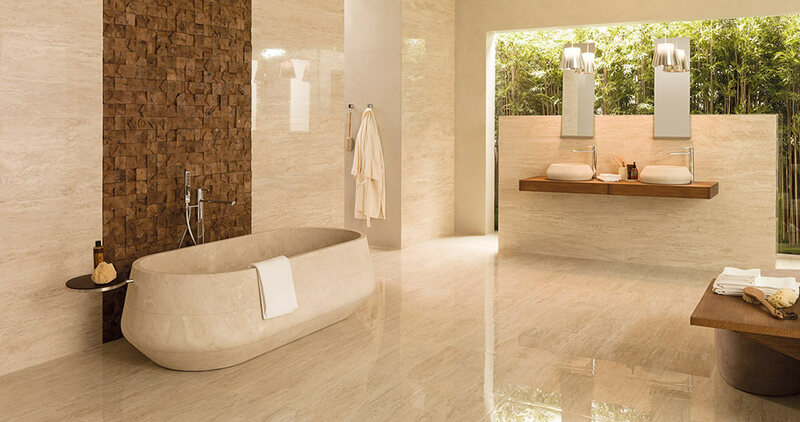 The advantages of ceramics lie on the basis that it is a material with high resistance, durability and easy maintenance, therefore, and according to the specifications of each material, it can be installed in high-demanding areas, such as the bathroom or the kitchen. As far as the bathroom is concerned, the trend is to seek the continuity by making use of the same material for both the flooring and the covering, also to bank on a mosaic which breaks the design in a specific wall, or to give a place greater importance, such as the shower or bathtub space. 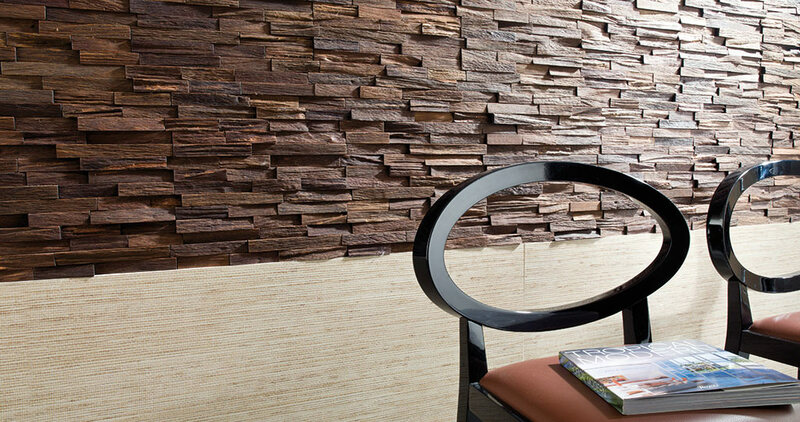 The versatility regarding ceramic makes the possibility of achieving a natural effect in interior design easier without ever compromising its qualities, for instance, through some designs such as the PAR-KER ceramic parquet or the STON-KER ceramic stone, both of them inspired by wood and stone, respectively. Porcelanosa and Venis, firms from the PORCELANOSA Grupo, include lots of different ceramic piece finishes in the catalogue, which enhance the whole design customization. 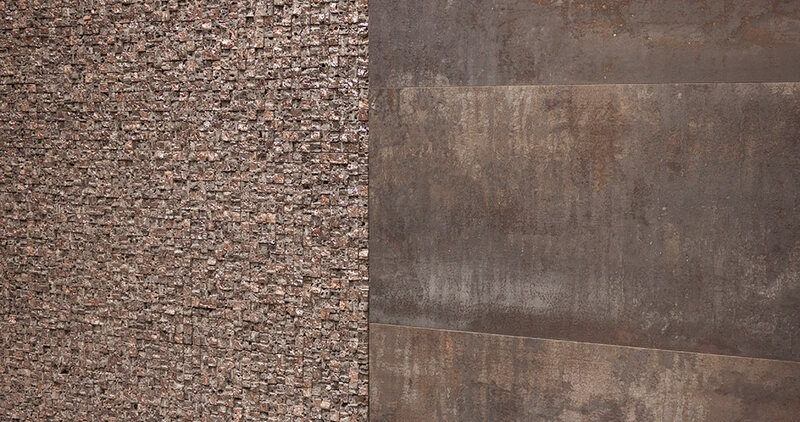 The combination of natural materials with ceramic is one of the most repeated trends in contemporary design. A mosaic of natural stone or natural wood can be the characteristic element in a bathroom or any other room in the home or contract project. Whatever the series chosen in mosaic, an integrating effect with a similar material for the rest of the space can be opted for, or completely break the design with a mix of materials and textures. 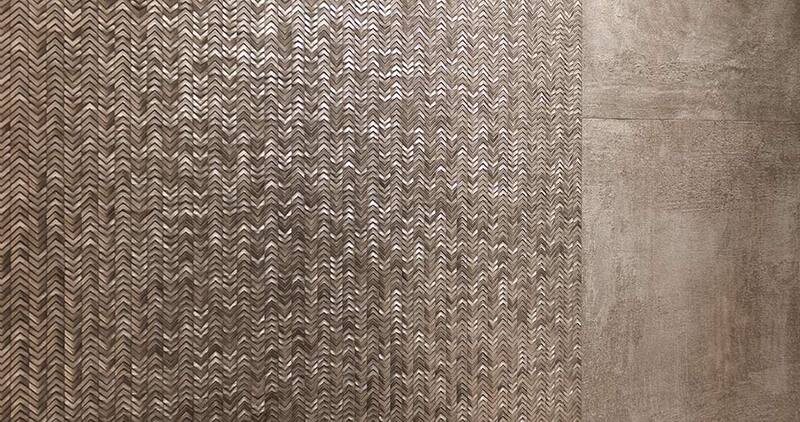 Metal effect tiles are another of the most current trends, especially gold finishes in bronze and titanium. To achieve this effect, the PORCELANOSA Grupo provides the Gravity mosaics from L’Antic Colonial, whose ideal combination would be the most neutral of ceramic material. Another popular material for contemporary interior designs is the geometric mosaics, whose array of pieces enhances the effect of the lights and shadows. When decorating with mosaics, it is important to consider that ‘less is more’. 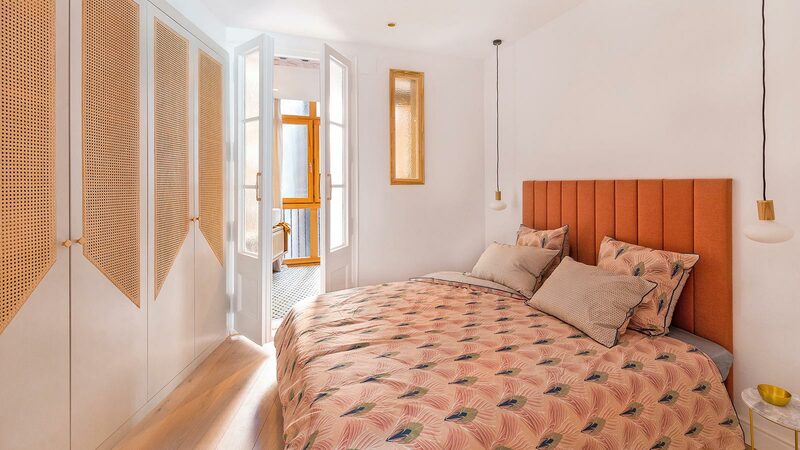 Knowing how to integrate these kinds of designs in small proportions, and then make a commitment to the rest of the room with materials with smooth and neutral colours, with no texture, such as greys, creams, whites and natural wood.